Escape the summer heat amid glorious gardens, old-world mansions and the ferns and waterways of Macedon Regional Park. Look back at the city of Melbourne from the top of Mount Macedon, which was originally known as Geburrh in the Woiwurrung language of the Wurundjeri people. If you’re after spectacular views, you’re in the right area, with stunning vistas of Melbourne and beyond from Mount Macedon’s famous Memorial Cross and lookout. Visit the cross on ANZAC Day to take part in one of the country’s most moving dawn services. Take the long walk up to Camels Hump, a rocky outcrop formed by a small steep-sided volcano, which is the highest point in the Macedon Ranges. Look out across to Hanging Rock and the northern rural landscape from the top. Some of the Mount Macedon’s most immaculately preserved gardens are private, so time your visit for Open Gardens Scheme open days throughout the year for the chance to peek behind fences. There are riches to behold in the public parks and reserves as well, with manicured gardens accompanying more rugged environs. Meander through the exotic plants at Stephen Ryan’s Rare Plant Nursery and enjoy the scenic walking trail at Sanatorium Lake. Enjoy panoramic views, scenic drives, picnic facilities, walking trails, and cultural and historic sites of interest in Macedon Regional Park. Keep an eye out for koalas, kangaroos, wallabies, wombats and some 200 species of native birds. An evocatively named country village, Woodend is in the centre of the Macedon Ranges and presents as the quintessential modern rural village. Set under wide verandas along the boulevard of the Old Calder Highway, Woodend is home to a cosmopolitan cafe culture, wine stores, bookstores and shops with an eclectic mix of old and new wares, plus the famous Holgate Brewhouse and a plethora of opportunities to stock up on local and gourmet produce. For the sportsperson, the Woodend Golf Course is a unique links course built on the hill outside town with views to Hanging Rock and Mt Macedon. For children, the fabulous Woodend Children’s Park in the centre of town is a must. Tying all of this together is accommodation ranging from the quaint and secluded B&Bs through to the 200 acres of farmland, forest, lakes, golf course and luxury that make up the Cammaray Waters facility in neighbouring Ashbourne. Bacchus Marsh is one of Victoria’s older towns and, as such, it retains a number of historically significant buildings. Located on the edge of a scenic and fertile valley, it is surrounded by hills and situated by the Werribee and Lerderderg Rivers at an elevation of 105 metres. Bacchus Marsh is 55 km north-west of Melbourne en route to Ballarat via the Western Freeway. The town supports a range of manufacturing industries while the surrounding area is given over to dairying, mixed farming, grazing and orchards. There is an open-cut coal mine on the southern outskirts. 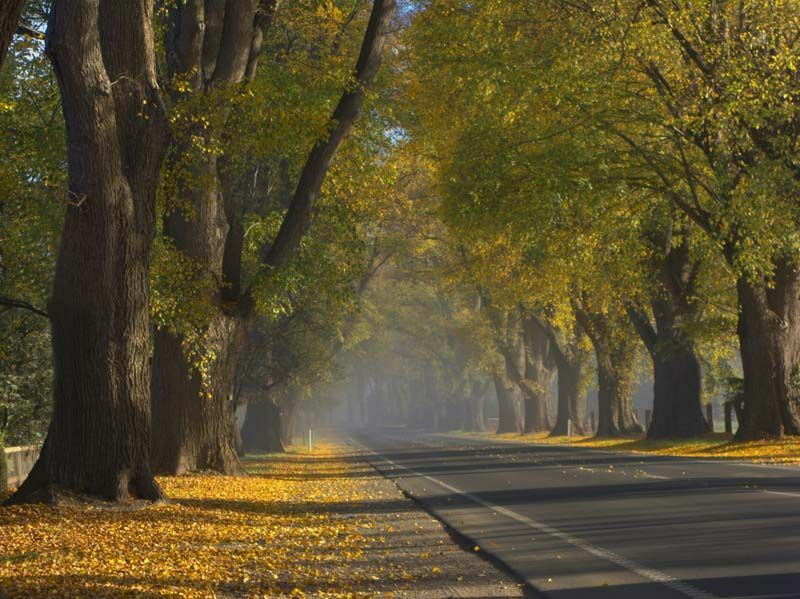 When entering Bacchus Marsh from Melbourne, the main road into town is The Avenue of Honour, which is lined by hundreds of elm, oaks and plane trees, planted to honour those who served during World War One. This road leads directly into the commercial centre of town which offers a mix of retail outlets in both historic and modern buildings. Attractions within town include the historic Court House, the Tudor-style Border Inn, the Blacksmith’s Cottage, and a number of churches dating back to the 1800s. The Chicory Kiln, in Taverner Street, has been preserved since its construction in 1885 when chicory roots were roasted before being ground and added to coffee. To gain an overview of Bacchus Marsh and the surrounding fertile valley, there are a couple of good vantage points. Off Flanagans Drive is the Our Lady Ta Pinu Marian Centre, located on a hilltop at the eastern entrance to town. The circuit drive around the cross monument offers impressive views across the rich farming land along The Avenue of Honour and towards the surrounding mountain ranges. The road along the northern boundary of Bacchus Marsh Grammar School (accessed via South Maddingley Road) offers a more urban outlook with views over the town centre and surrounding residential areas and towards the mountain ranges in the north. 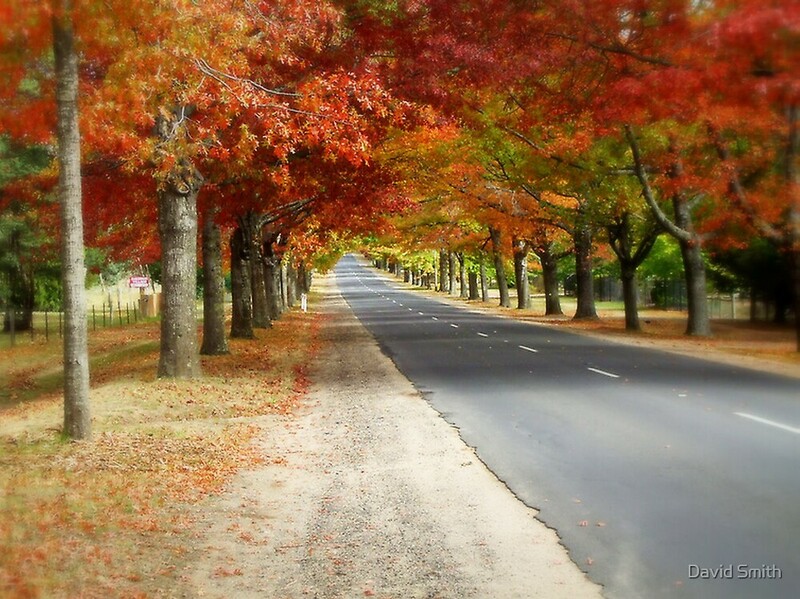 Ballan is a small rural centre located 78 km north west of Melbourne on the Western highway. It is the main administrative centre for the Shire of Moorabool local government area. During the Victorian Gold Rush, it became an important staging point for coaches travelling to the Ballarat goldfields. The Western Freeway bypasses the town, but is located nearby and connects Ballan to Melbourne in the east and Ballarat to the west. The main road into town, the Old Melbourne Road (Old Inglis Street), is also the main street. Another main road is the Geelong Ballan Road, which connects Ballan to Geelong. Ballan railway station is serviced by regular fast regional Ballarat V/Line rail service VLocity approximately hourly with a 55-59 minute journey to the state’s regional railway hub Southern Cross station in Melbourne – or 20-25 minute journey to Ballarat. Being on the Serviceton line trains stopping at the station give Ballan access via Ballarat to regional services including the Ararat V/Line rail service, the Mildura line as far as Maryborough and connecting bus services. The town centre is only a three-block walk from the station. The town has an Australian rules football team competing in the Central Highlands Football League. Ballan Brumbies Basketball Club was founded in 2017, playing in the Ballarat Basketball Association competitions. As of March 2018, the club fielded mens & ladies senior teams, as well as 11 junior teams. The clubs colours are white, royal blue & gold. From the Dja Dja Wurrung people, who first inhabited the land thousands of years ago, to the Swiss Italian migrants of the gold rush and Melbourne’s turn-of-the-century holidaymakers, Daylesford has long been considered a special place of healing. Enjoy the region’s natural mineral springs with a rejuvenating spa experience at Daylesford Day Spa or Salus Spa at the Lake House or book in for relaxing massages and silky, skin-renewing rituals at Daylesford Healing Massage. Neighbouring Hepburn Springs offers more opportunities for R&R at Hepburn Bathhouse and Peppers Mineral Springs. Slow down, unwind and be sure to take in the natural surroundings of Victoria’s spa centre. Watch native wildlife at play and fill up a bottle with the local mineral water down at Lake Daylesford, paddle around in a kayak on Jubilee Lake, or get the blood flowing with a walk to the top of Wombat Hill. Once there, look out over the township before entering the striking Convent Gallery, housed in a historic 19th century mansion. Peruse three levels of local, national and international art, then take the time for reflection in the onsite cafe, surrounding art and sculpture park or deeper into the botanic gardens. 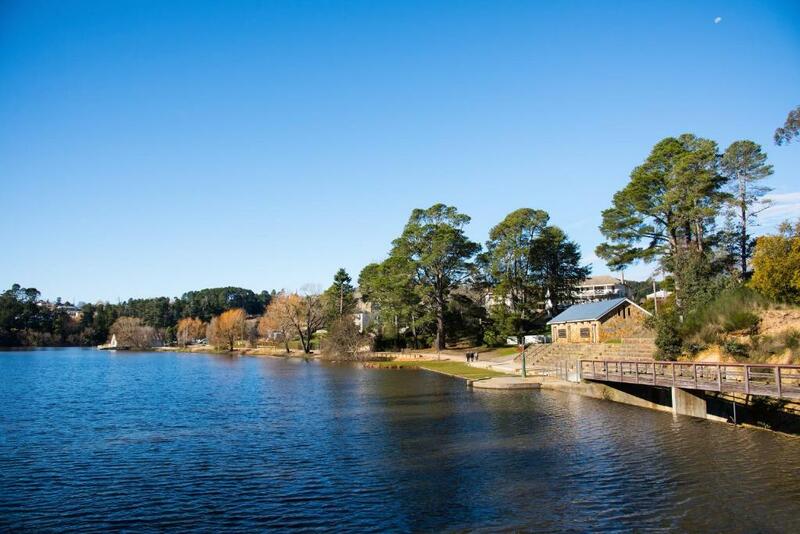 The small town of Hepburn Springs is located within a region that contains Australia’s largest concentration of natural mineral springs, 4 kilometres north of the larger centre of Daylesford. Hepburn Springs is offers an attractive and scenic destination for visitors, surrounded by thick forests, gullies, and a multitude of mineral springs. The Mineral Springs Reserve, at the northern end of town, is home to the iconic Hepburn Bathhouse & Spa, an extensive network of bush walking tracks and BBQ facilities. The park has a collection of mineral springs, some flowing continuously, and others operated with a hand pump. Visitors are able to freely bottle their own bubbling mineral water from the springs which include Locarno, Soda, Sulphur and Wyuna. Making use of the mineral waters are a number of spa resorts within the town where the visitor can experience hydrotherapy and other health treatments in a luxurious environment. The commercial heart of Hepburn Springs is spread along Main Road. There are a couple of hotels, cafes, restaurants, a post office and several shops, intermingled between residential properties. The influence of Italians and Swiss who originally settled in the area due to the gold rush is evident in the gardens and architecture of the town. Jacksons Lookout, on Back Hepburn Road, consists of a tower visitors can climb in order to view the thick forests that surround the town. Around 7 kilometres north of town on the Midland Highway is Mount Franklin. This extinct volcano features a shady picnic area and there are good views from its summit.